After Iran, Syria sign agreement, senior Israeli minister warns that Israel will not permit Iran to use Syria as base for attacks. Israel blasted a newly-inked agreement between Syria and Iran, deepening the cooperation between the two rogue states in defiance of calls for Tehran to withdraw its forces from the war-torn country. 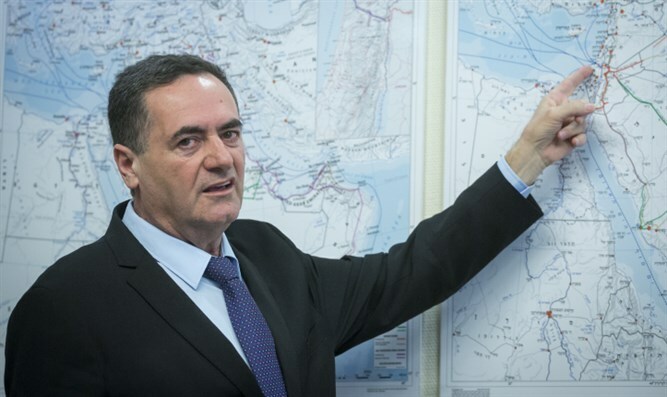 On Wednesday, Israeli Intelligence Minister Yisrael Katz (Likud), who also serves as Transportation Minister, spoke on Israeli public radio, warning that Israel would not permit Iranian forces to use Syria as a base of operations for military activities. Just two days earlier, Iran’s Defense Minister, Amir Hatami, signed an agreement with the Assad government, expanding cooperation between Damascus and Tehran. During his visit to Damascus, Hatami rejected calls by the US and Israel that Iran pullout its Quds Force from Syria. "No third party can affect the presence of Iranian advisers in Syria," Hatami was quoted as having told reporters in Damascus. According to Arabic media outlets, Iran pledged in the deal to help rebuild the Assad regime’s military and develop Syria’s arms industries. Katz denounced the Syrian-Iranian agreement, calling it a “test” of Israeli resolve, and vowed to respond “loud and clear”. The Intelligence Minister included a warning for Syria’s military, which he said would be targeted if it interferes with Israeli operations against Iranian forces inside Syria. “If the Syrian army's air defense network intervenes against us, it will pay the price." Israel and Iran’s Quds Force have clashed repeatedly this year, including a major incident in February following the penetration of Israeli airspace by an armed Iranian drone operating out of a Syrian base. After the drone was shot down, Israeli aircraft hit the drone’s control center inside Syrian territory, during which time one Israeli F-16I fighter jet was shot down by a Syrian surface-to-air missile.